We praise the power of social media to bring people together, to engage people around topics and events of shared interest, to include. Too often we don't stop to think that every new tool, with new ways to include people, is probably excluding someone in a new way. The accessibility of social media is rarely discussed outside of communities of people with disabilities. When it is discussed, the people who most need to hear it (us?) may not be in the audience. When we aren't, the work we do to include and engage may end up accomplishing quite the opposite. Here are some examples of problems and work-arounds to make these media more accessible and an invitation to a free seminar about online accessibility. You share video or use streaming tools, but lack captions. It isn't always possible to pay for live captioning, but there are tips and tricks to get around that with low-cost options. In Second Life, the Virtual Ability community has a roster of volunteers who assist blind or visually impaired participants by typing a synopsis of what the speaker is saying, and also describe slide images during live chats. Because some conversations take place in the typed chat option, sighted volunteers will read that text aloud and identify the speakers. Why couldn't healthcare communications and social media professionals implement something like this for streamed events? Tools for making social media more accessible for marginalized and excluded audiences can also make life easier for those who are nominally able-bodied. Check out Easy Chirp, a Twitter browser designed for people who are blind or visually impaired, but which can be useful for others. Bonus: Accessible browsers can require less bandwidth and be more robust, something to keep in mind when you're sharing wireless access in a crowded meeting room. Do you tweet using a tool that allows to track multiple channels at the same time? These often will place the channel's relevant hashtag at the beginning of each tweet. I wager you weren't aware that this makes life more difficult for those with visual or cognitive challenges, because it makes it more difficult for them to sort out the important part of the message. Recommended practice: Place hashtags at the end of tweets. These are just a few examples of how to make social media more accessible. There's a lot more to know and learn. 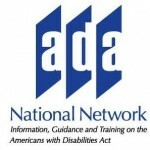 Luckily, there's an upcoming free webinar about social media accessibility from the ADA National Network, if you're interested in learning more. Are you accidentally excluding people from your social media content? 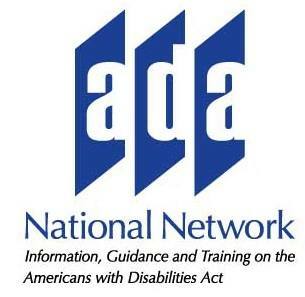 People with disabilities are frequently excluded in all walks of life - even social media. Just as social media allows for greater inclusion, it also makes it easier to exclude others. People with disabilities want you to learn how to make your social media content more accessible. The accessibility of social media is rarely discussed outside of communities of people with disabilities. But it sure needs to be.